As the proof owner, if you want to revert the approval, you can. 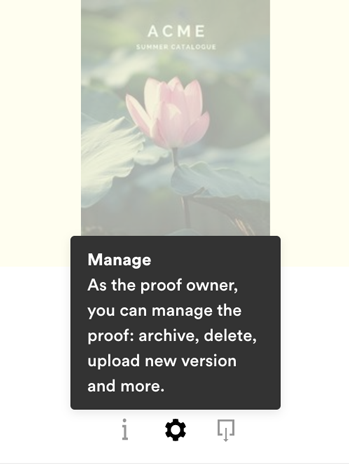 This feature is found under the manage pane of the proof. Click the cog icon to go into the manage pane. Select withdraw approval, read the terms and click accept & continue. When an approval has been withdrawn by an owner, any additional proof owners as well as the approver, will be notified by email that the proof has been returned to the final step of the workflow.